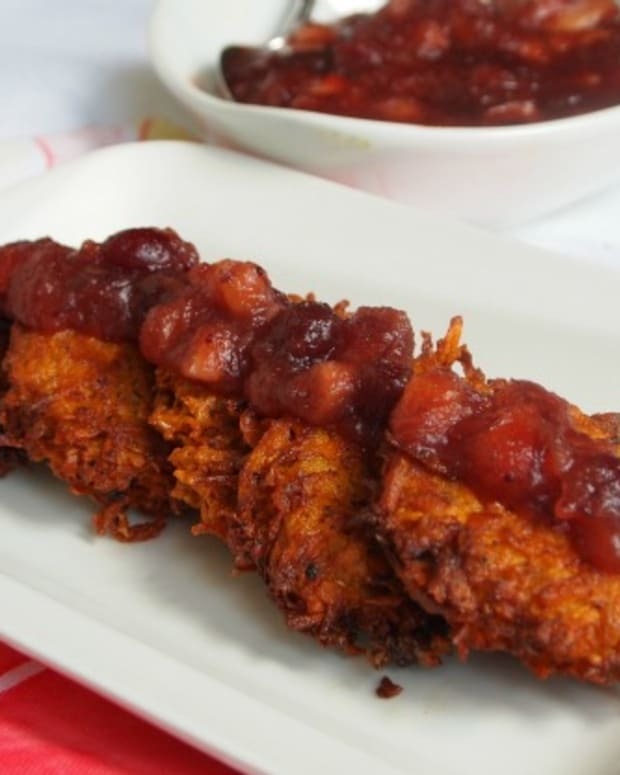 In honor of Thanksgivukah this year I suggest these flavorful stuffing latkes. 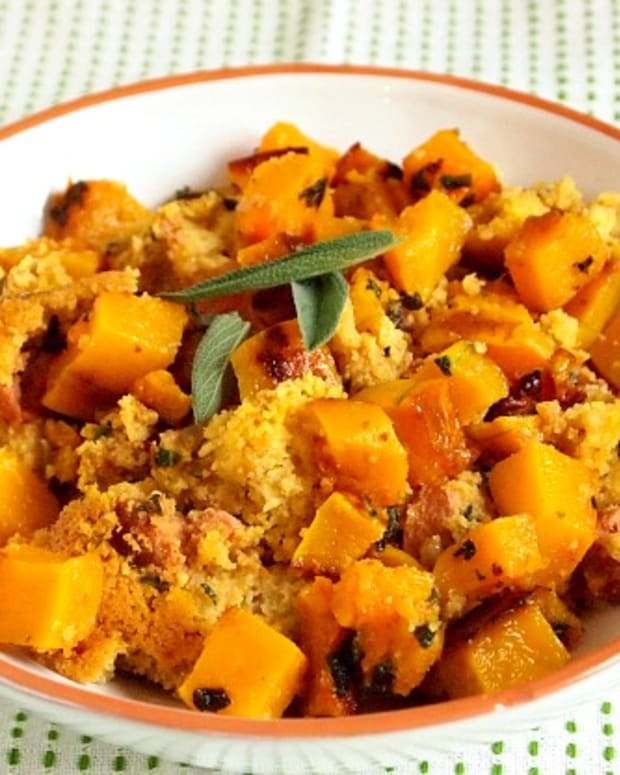 Whether you make them that night or decide to use your leftover stuffing to make them, you will not be sorry. 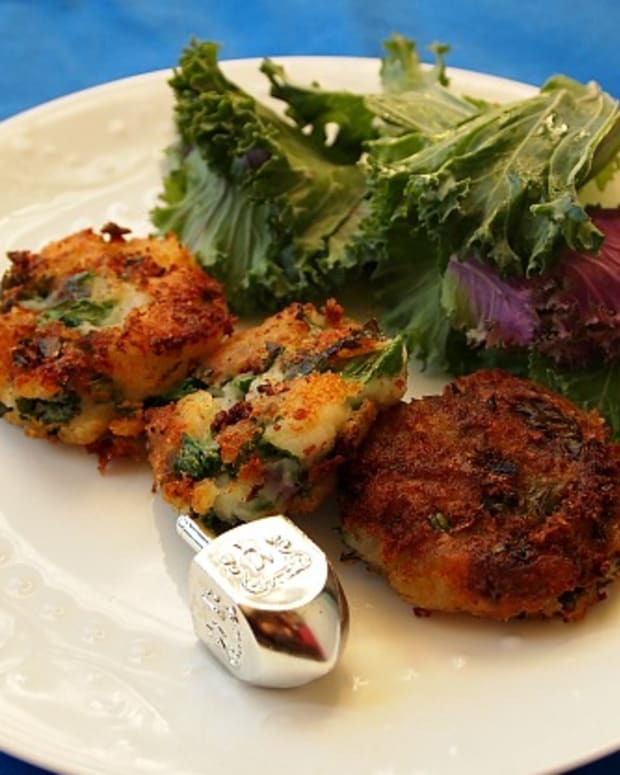 I made these in a frying pan so that they would really be like latkes, but I also made a batch in mini muffin tins with just a spray of cooking spray on top with fantastic results. 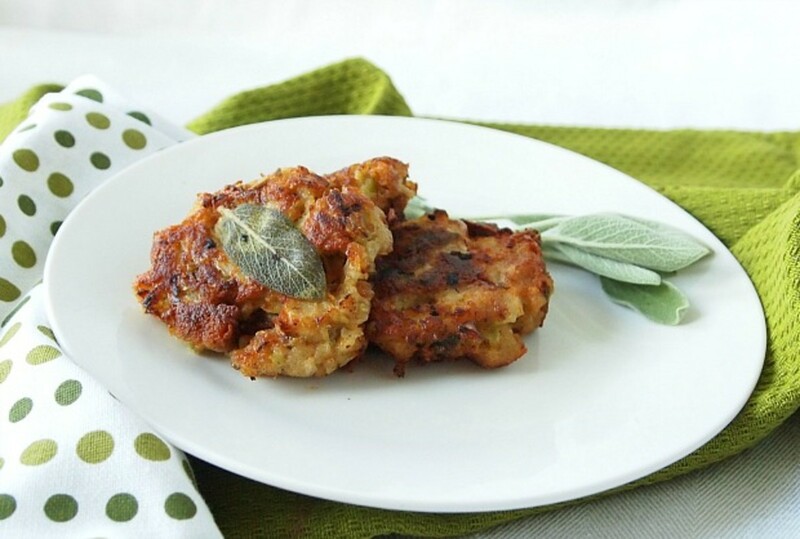 So, if you would like to save some of the oil for your potato latkes, go ahead and bake these. 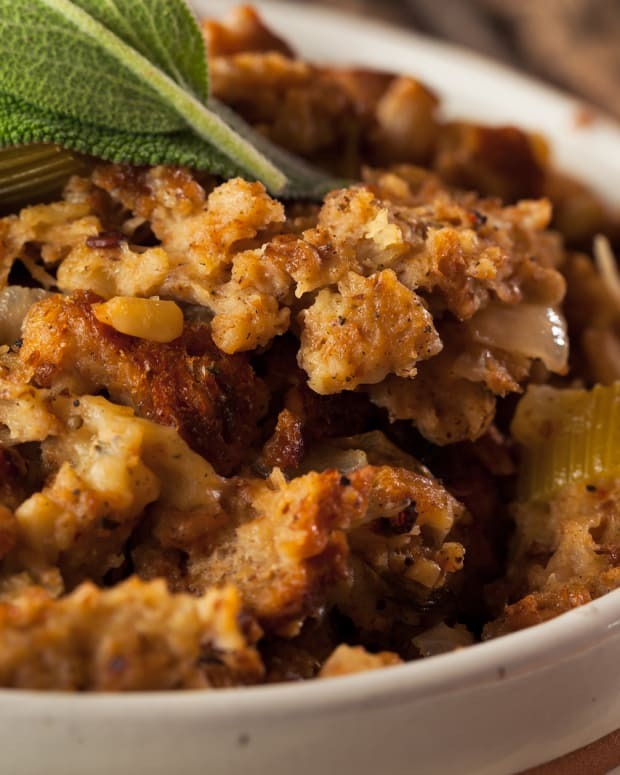 Use this apple stuffing recipe or your favorite leftover stuffing. 2. On a baking sheet, spray the bread with cooking spray. Season with salt and pepper. Bake for about 10 minutes, until toasted. Transfer the croutons to a bowl. 3. Meanwhile, in a large skillet, heat the oil. Add the onion and celery and cook over moderately high heat, stirring occasionally, until golden, about 5 minutes. 4. Add the garlic, fennel seed and sage and cook for 1 minute, add the apples and remove from heat. Mix well and add to toasted bread. 5. Add eggs and add broth as needed to make a nice consistency. 7. Now, you can bake or fry. 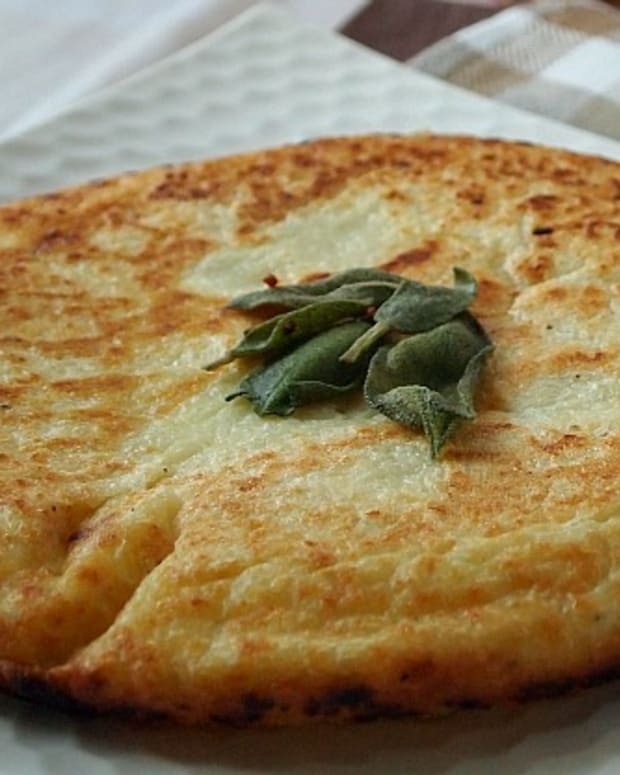 If frying, heat a large frying pan with a layer of oil for frying. Spoon out a portion of mix into the hot oil and flatten with the back of a fork. Let cook until browned, then flip and cook the other side. 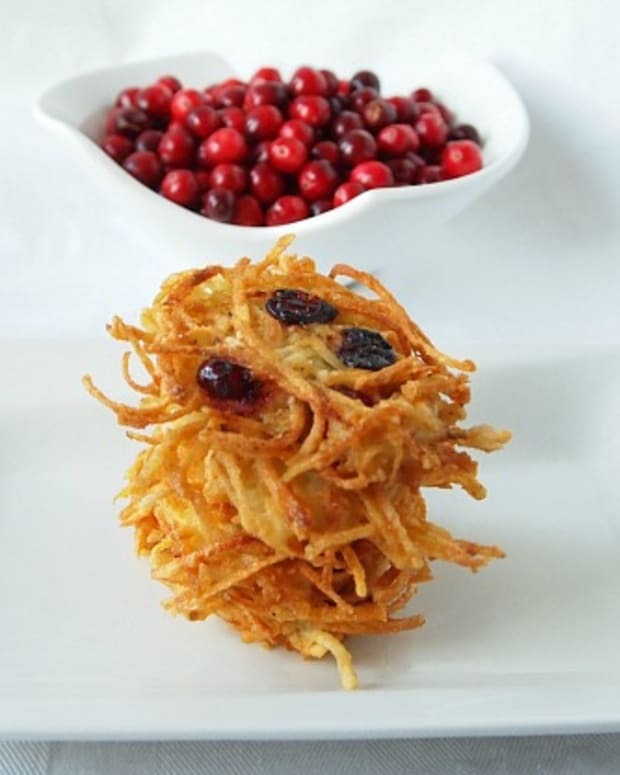 Remove cooked latke to a paper towel. Reheat in oven if desired. 8. If baking, preheat oven to 400. Spray a baking sheet with cooking spray and spoon out small portions of stuffing onto the tray. Flatten them and bake for about 20 minutes or until nice and crispy. If baking, place the batter in mini muffin tins and bake at 400 for about 30 minutes or until browned. Enjoy.